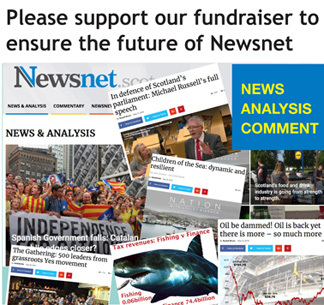 Newsnet was founded and grew largely as an alternative to the abysmal quality of the press in the UK, especially in Scotland. Public trust in the UK press is lower than almost anywhere in the Western world. 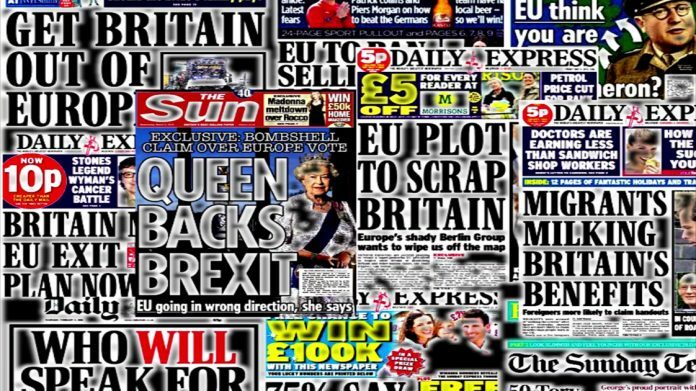 Media barons like Rupert Murdoch and vile (just retired) editors like Paul Dacre poison the public discourse and virtually run the UK government. Once independence is achieved, Scotland will have the opportunity to definitively repeal and replace the BBC with a citizens media fund, and create a Scottish Media Regulator to assure that the media serves the public interest, is truthful and honest, and accurately critiques but does not run the Scottish government. As important as an independent, free media shall be for an independent Scotland, the current business models make it very difficult for media to be profitable, especially in the social media in this day and age. In lieu of the extortionate BBC license fee (I was stupefied when I found out it was a criminal offense not to pay it), a progressive fee could finance a Scottish Citizens Media Fund, which would finance the production of news, documentaries, films, and other media. Since I have begun following the independence movement, one thing that has been painful to observe is the amount of wasted talent in Scotland, and that so many excellent citizen journalists are unable to make a living. This fund could replace the private corporate media with a genuine citizens media, and help fund the careers of so many talented people. Think how many talented journalism graduates and media technicians there must be who could apply for grants from a SCMF, and make a career here in Scotland. Allocation of these grants would be contingent upon applicants following a new media regulatory structure adapted to this new media age, which private commercial media would also be required to follow to acquire credentials to cover the Scottish Parliament and other government institutions. It’s safe to say that the the current media regulatory environment in the UK is insufficient, to put it mildly. To give but one example, during the Brexit campaign, the level of xenophobia, lies and hateful rhetoric were stratospheric, inarguably putting ‘leave’ over the top. A free press is indisputably essential to a well-informed citizenry, as well as to hold the government to account. However, an independent Scotland must not have a press which comes close to being as corrupt as the UK corporate media. Press regulation should never prevent publication of any article. However, nothing prevents a Scottish media regulatory authority from evaluating the content of the press output, and refusing accreditation to any outlet that does not abide by the rules. Clauses in a written constitution underpinned by law could stipulate that for a press outlet to be accredited, it must, for example. Legal protection and incentives must be extended to whistle-blowers and those who uncover genuine corruption and criminality. The content of media outlets would be monitored over time to ensure compliance, and evaluation reports submitted. These are but a few examples of what could be included in the regulations of a Scottish Media Regulator. Again, this would not prevent any newspaper, blog, or media outlet from publishing anything they want. What it would do is reward honest journalism with financial support, and give a regulator the capacity to evaluate the credibility of media outlets to determine whether they can be accredited to have access to cover the Scottish government and other public institutions. For example, Wikipedia recently determined that the Daily Mail was not a credible news source, and therefore would not cite their articles as references. A Scottish press regulatory authority could do likewise, and deny the DM accreditation. Finally, the creation and implementation of these institutions would be a boon to the Scottish media research sector. Developing, refining, and applying these regulations will necessitate considerable academic input and citizen feedback, and will need to evolve in the future to reflect current technology and journalistic practices. This is all with a view of creating an honest, transparent, and non-corrupt media that Scotland will require once it becomes independent. After decades of the BBC and corrupt corporate media, its time has come. Next articleDon’t panic – oh no!